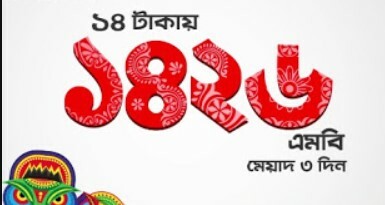 Welcome to Robi Pohela Boishakh Offer 2018, 32 TK Recharge 32 Minutes talk-time & 32MB Internet Free. All the Robi prepaid customers are eligible to enjoy Robi 32 Minute Talk-Time (Robi & Airtel Number) + 32 MB 3G Internet Free by recharging 32 TK from bKash or Rocket account. If you want to know more about the Robi Pohela Boishakh Offer 2018 free minutes & Internet details info, just follow the below. To get 32 Minutes & 32 MB Free Internet Robi Pohela Boishakh Offer 2017, customers need to recharge exact 32 TK from Rocket or bKash account. The recharge amount 32 TK will go customer main account. Customers can eligible to get the Robi 32 TK Recharge Pohela Boishakh Offer 2017 maximum 3 times in a day. 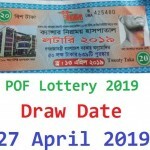 The validity of Robi Pohela Boishakh Offer 2017 bonus minutes and internet 2 days. Customers use the bonus minutes only Robi & Airtel Number. The customer can use the Robi Bangla Happy New Year Offer 2017 Bonus Minutes & Internet from 12 AM to 4 PM. To check Robi free minutes remaining balance just Dial *222*7# and Internet Balance by dialing *8444*88#. Thanks for staying with us a long time and visiting Robi Pohela Boishakh Offer 32 TK Recharge 32 Minutes talk-time & 32MB Internet bonus Offer. If you have any confusion or question or want to know more about the Robi Bangla Happy New Year Offer 2018, Just comment here. We reply as soon as possible.